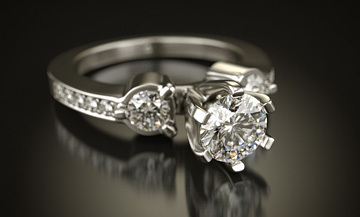 How to render jewelry with Vray for 3dsMax? This tutorial was created with V-ray version 3.0 . You will probably be able to follow along with older versions, but some screenshots may vary, or some settings may be missing or will have a slightly different effect on image quality. The included max files are all created in 3D Studio Max 2013, but saved as 3D Studio Max 2010 files. So they will open fine in any Max version from 2010 up, but you will not be able to open them in older ones! A good visual starts with a good model. 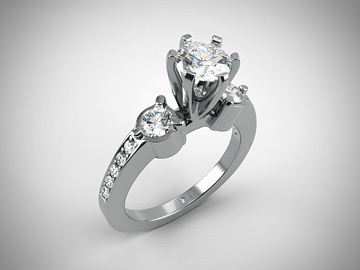 We'll cover a few tips to consider when modeling jewelry. Crucial to any type of 3D visual is lighting! This is especially true for jewelry, so this will be a big part of the tutorial. 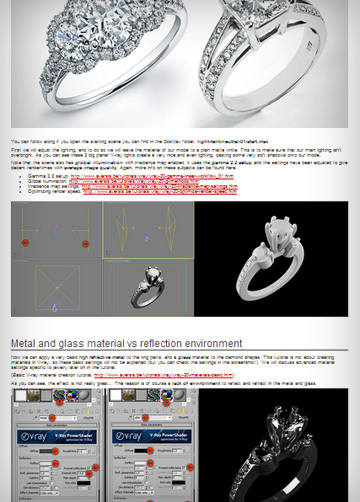 Reflections and lighting go hand in hand, because the lighting setup will reflect in all parts of the jewelry. All materials are reflective, so we'll spend most of the time tweaking the lights to get the desired look. The 3 most common materials will of course be created from scratch. Basic vray material knowledge however is required. Please read our Basic Vray Material tutorial first if you're new to Vray for 3dsMax. Once everything is set up, we'll show you different examples of how you can easily change the overall look of your jewelry visual. For example we'll create a reflective groundplane (black & white), create a hotspot and also use a textured groundplane. No 3D visual is complete without some image post processing. 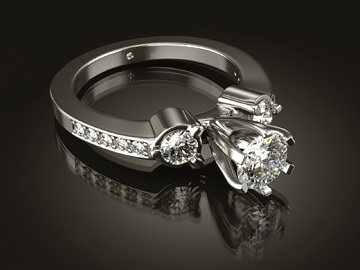 We'll show you a quick standard workflow to enhance your jewelry renderings with the use of Photoshop. In depth information explaining what and why. Instead of summing up a bunch of settings, we explain everything. This means that after completing the tutorial, you will be able to set up and tweak your own jewelry scenes. Screenshots for every step of the tutorial, combined with real world examples to make things even more clear. 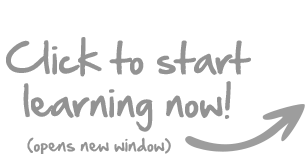 We provide step by step instructions, in an easy to follow, human language. All 3dsMax scene files are included, in case you get lost somewhere along the way, or simply to study the scene setup and settings. As a bonus you also get the highly detailed ring model! Finally we also provide all textures and rendered psd files with all layers intact.